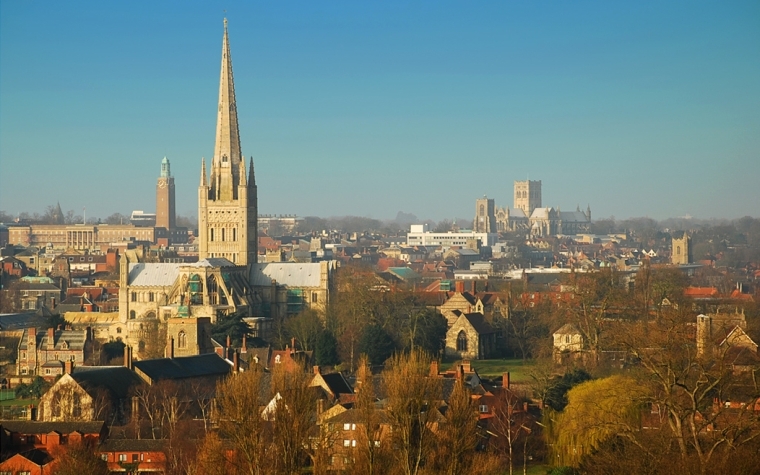 Norwich is facing the most complex and challenging time in its history. Demand for services continues to grow, financial resources continue to tighten, and legislative duties continue to expand. Despite facing some of the largest budget reductions in the country, Norwich has so far navigated these changes well, setting a balanced budget, growing the local economy and continuing to deliver strong services. However, Norwich recognise that the changes to date may not be enough to take the City and wider area forward over the longer term. As part of the work to reframe the long-term vision for the place, Norwich wanted to undertake comprehensive resident and stakeholder engagement to inform the council’s resource planning over the coming years. Norwich wanted to engage residents and other stakeholders in dialogue using a range of methods to help the council understand the vision for the city and what role the council has in achieving this alone, or with others. Ignite worked with Norwich to undertake a wide-ranging programme of research with key stakeholders over a period of eight months to understand: their perceptions of the strengths and assets within the city; their long-term vision for the future; the challenges facing Norwich as it moves forward; and their views on the role the council ought to play. Working closely with the council, Ignite engaged on a personal level with visitors, residents, stakeholders, partners and members. The findings gave the council clarity as to what residents, visitors and stakeholders think of Norwich at present, and what they need from the council. Greater depth and nuance was added not only to the positive future vision, but also to the risks and challenges facing the local area. The findings also reaffirmed the council’s emerging vision, as many of the participants’ perceptions were already present in the early drafts of the vision created by Norwich leadership. Participants reacted positively to this engagement work and as a result, relationships between the council, residents and stakeholders have been strengthened. Partnership working – Ignite worked in partnership with the Norwich leadership team to understand the need to undertake the research programme. As the programme progressed, the council trusted Ignite to change approaches when necessary, to deliver successful results. Being innovative – Ignite designed engaging and thought-provoking research activities to stimulate rich discussions. Being flexible and adaptable – Ignite regularly reviewed agreed research and engagement activities to ensure we were using the right approach to achieve the desired outcome.